Tan Zara Jackets first appeared on Chictopia's streetstyle gallery in Spring 2011 seen on London blogger ChristingC of fashionhedonism.com. Since then, Tan Zara Jackets have grown in popularity as bloggers from Setúbal, Boston, and Bucharest have discovered them. Tan Zara Jackets are generally seen in casual, chic, and comfortable style. Popular types of Tan Zara Jackets are anorak, jersey, down, trench, and wool. There are currently 36 streetstyle photos of bloggers wearing Tan Zara Jackets. 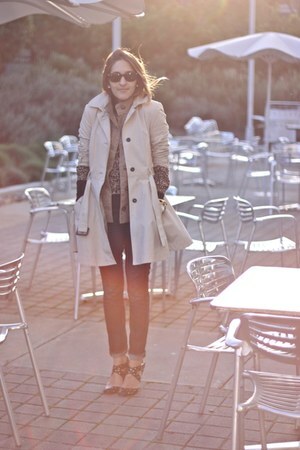 Most recently, blogger fashioninmysoul of voguehaus.com rocked her tan Zara jacket in a streetstyle look.